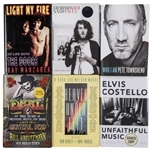 Offered here is a collection of six hardcover autobiographies and books signed by famous musicians. The first book, Heaven is Under our Feet, has been signed by Don Henley and Richard F. Fleck. Henley inscribed “To Terry” and “1-6-92”, while Fleck has inscribed “1-6-92” as well. Both signatures have been written in black marker. 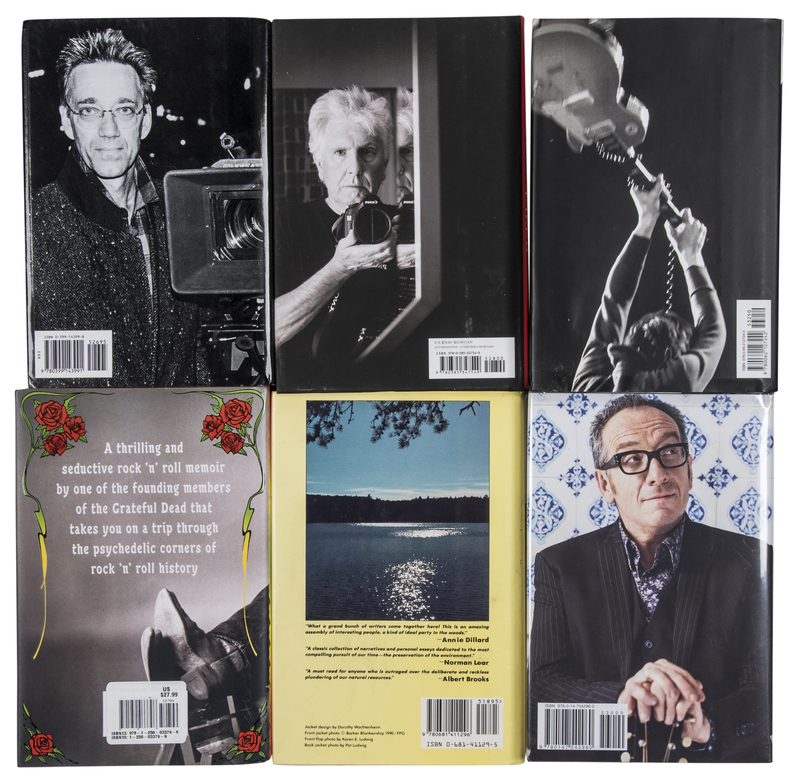 The second book, Unfaithful Music, has been signed in black marker by Elvis Costello. 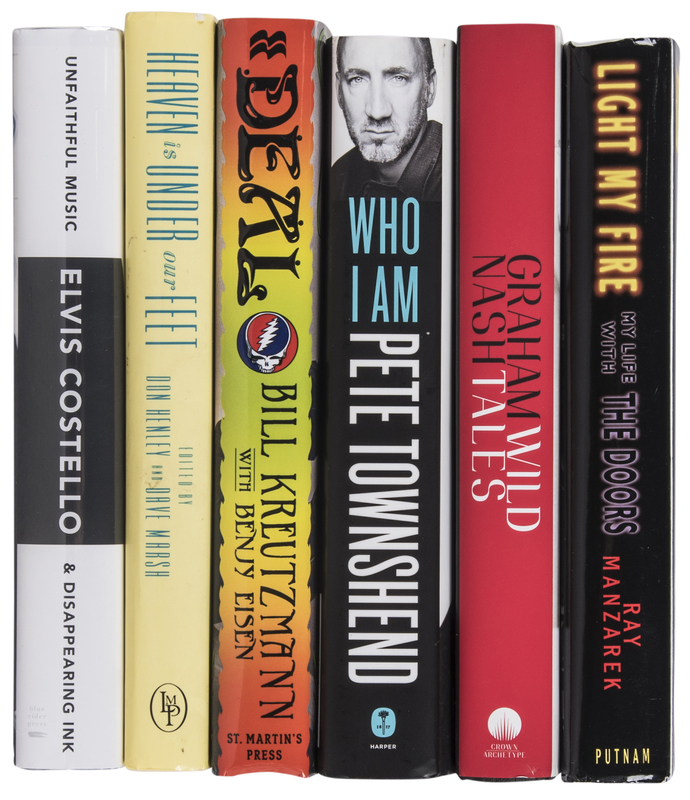 The third book in this lot is Deal: My Three Decades of Drumming, Dreams, and Drugs With the Grateful Dead and it has been signed by Bill Kreutzmann in black marker. 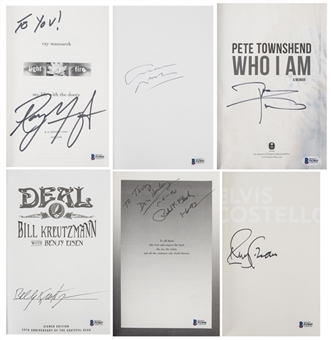 Fourth is Who I Am, by and signed by Who frontman Pete Townshend in black marker. Please note that this book displays moderate water damage that only slightly affects Townshend’s signature. The next book, Wild Tales, has been signed in black pen by Graham Nash. 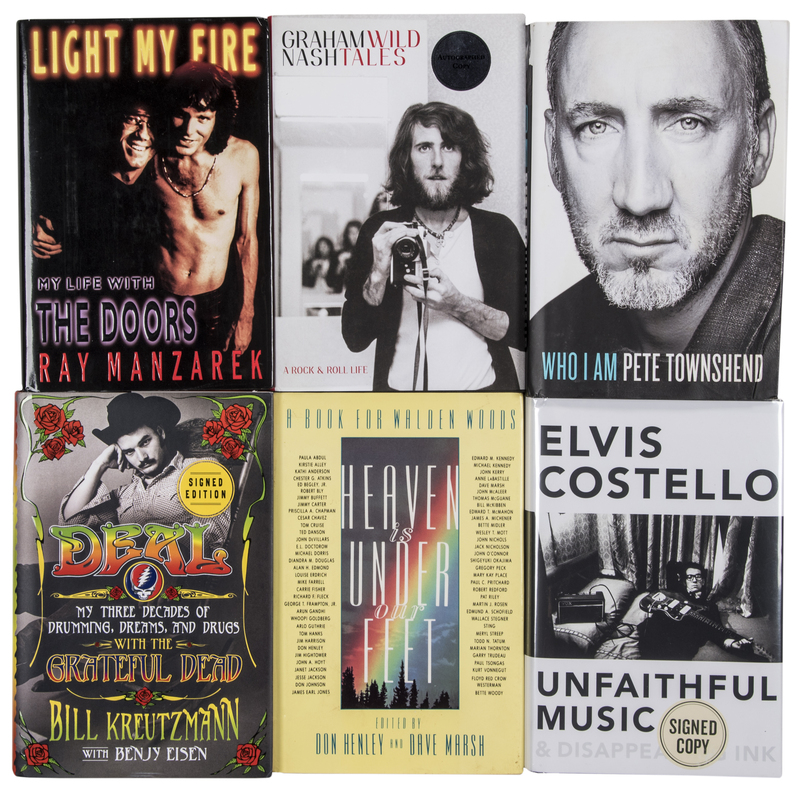 The final book in this lot, Light My Fire: My Life With the Doors, has been signed in black marker by Ray Manzarek. Manzarek inscribed “To You!” above his signature. 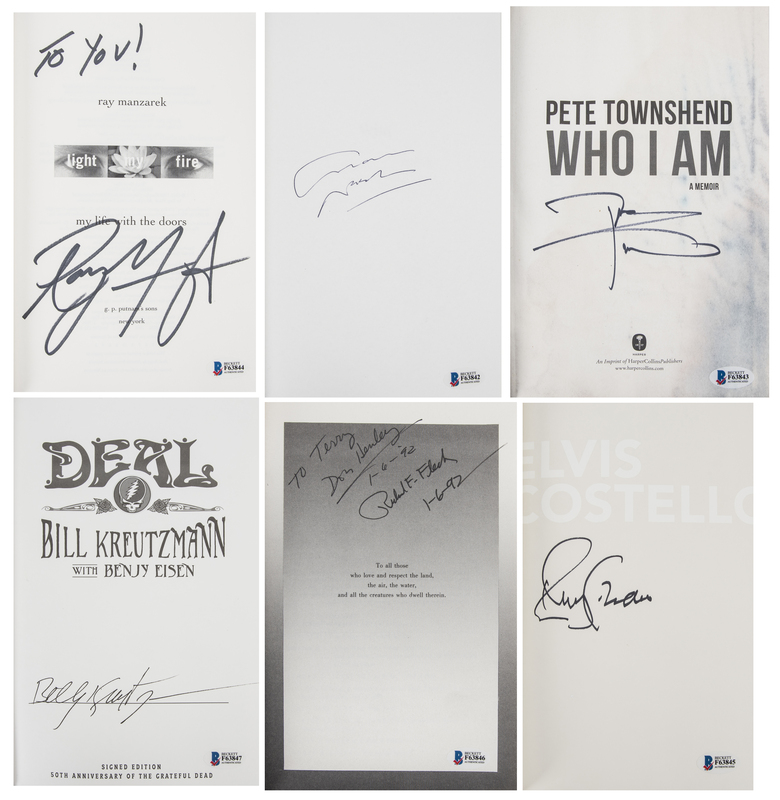 Each item in this lot comes with a COA from Beckett Authentication Services (F63842 through F63847).